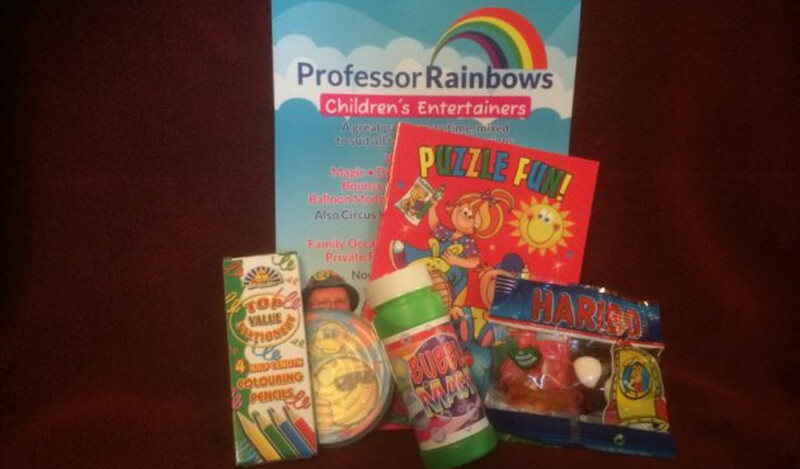 Professor Rainbows now offer party bags for £1.50 per child on all our children's party packages. 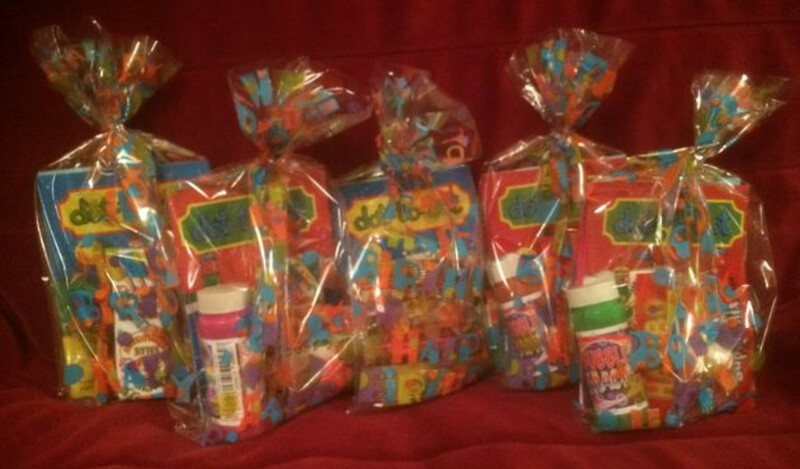 We can provide a unisex party bag for just £1.50 each and you only pay for how many you give away on the day. So if you're expecting 40 children but only 30 turn up then you only pay for the 30 bags you need! No more party bags going to waste. No more running around shops and having to spend hours putting them all together. Our entertainers will bring the bags with them on the day. 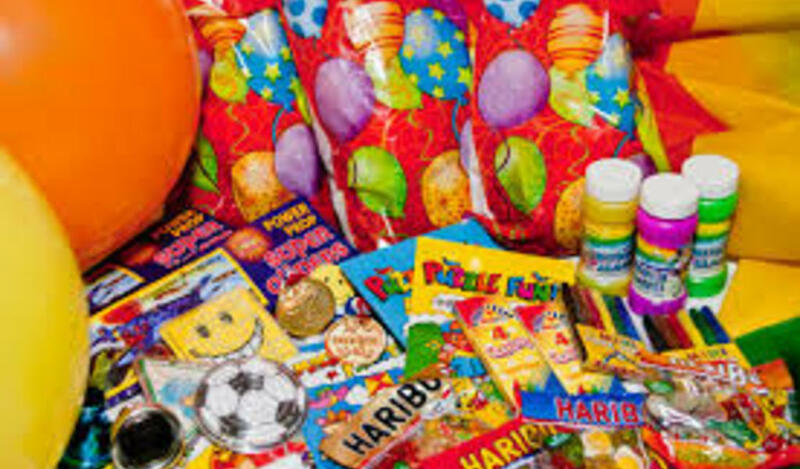 The party bags contain a puzzle, colouring book, colouring pencils, bubbles and Haribo sweets (some items may change depending on stock available although a suitable substitute will be provided). Simply advise us of approximately how many children you are expecting. We will always bring more just in case so you will never be short. Some items may not be suitable for under 3's.